Vidifox GV400 Wireless Document Camera bundles utility, convenience and aesthetics into one all-inclusive package that is perfectly capable of complementing all work habits. 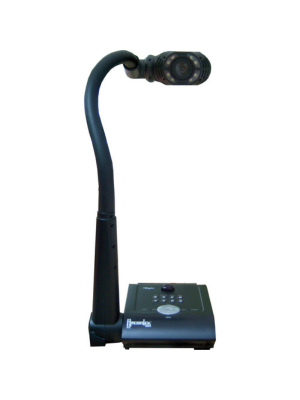 Vidifox Document Camera has all the latest document camera features with several add-ons so users may relish a great experience. 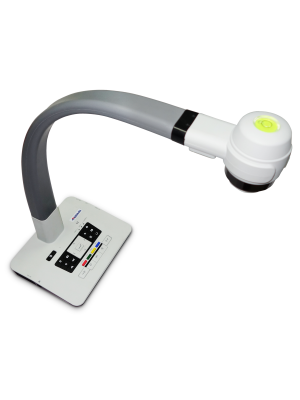 Vidifox GV400 Document Camera has 2MP quality and its display screen has high resolution of 1080p, ensuring a true-to-life display. 20x digital zoom lets every intricate detail to be observed and analyzed, without losing the natural originality by even the smallest of measures. Vidifox GV400 is the best for capturing motion owing to its 30 Frame Rate which consistently transmits unfaltering video to the connected display systems. 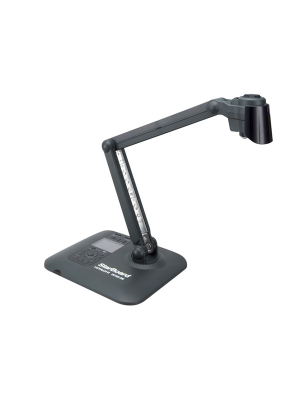 This outstanding document camera has impressive interactive features as well. With its annotation tools, one can easily add notes and shapes in different colors, adjust the display to one’s liking through zoom, rotation and brightness functions and flexible gooseneck camera arm. GV400 also has in-built Wi-Fi capability and LAN slot to connect it to computers, phones and tablets in the vicinity, which then themselves become the user interface. 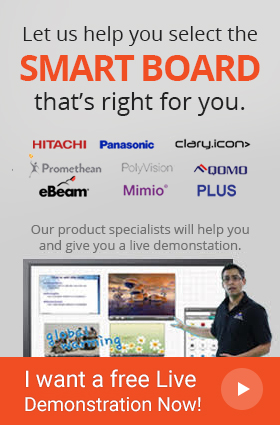 Users may play and annotate over media through USB or directly from their personal devices and use the document camera as a whiteboard. Furthermore, it lets customers save images and video sessions to their SD card or USB.